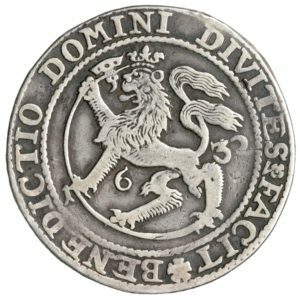 Speciedaler dated 1632, struck under King Christian IV. Grading: F. Reference: Thesen (2015) 32 A. 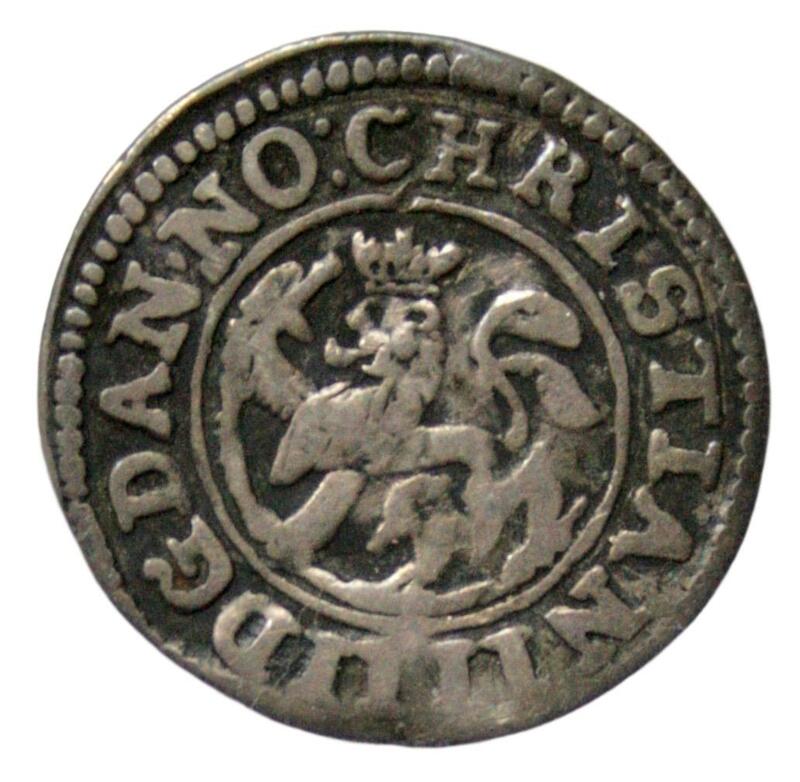 Weight: 28,34 g.
4 skilling dated 1642, struck under King Christian IV. Grading: F. Reference: Thesen (2015) 126. 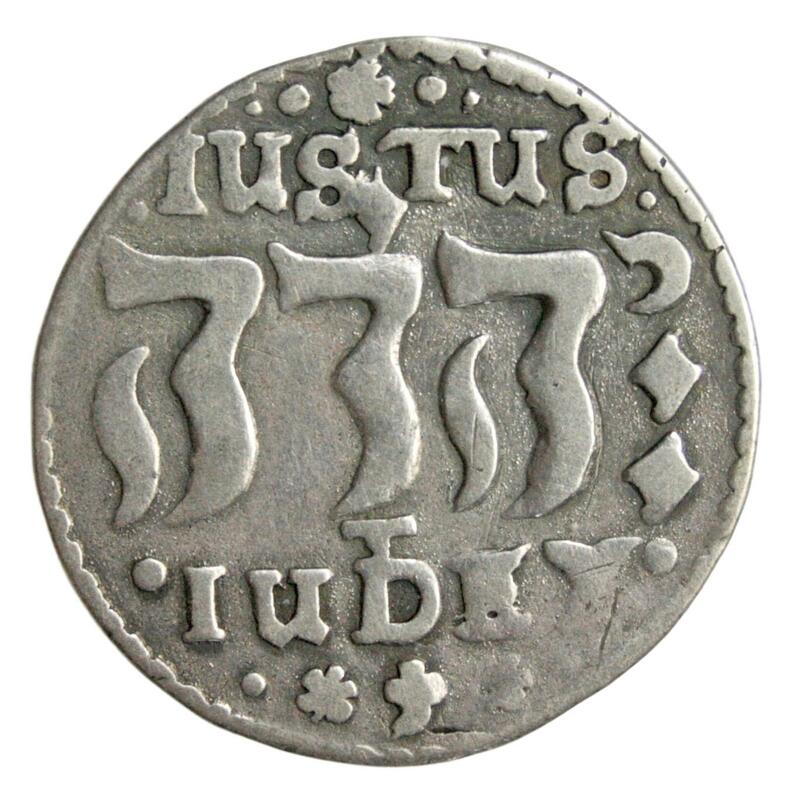 Weight: 1,0 g.
1 mark dated 1645, struck under King Christian IV. Grading: F/VF (owner’s mark obv.). Reference: Thesen (2015) 118. 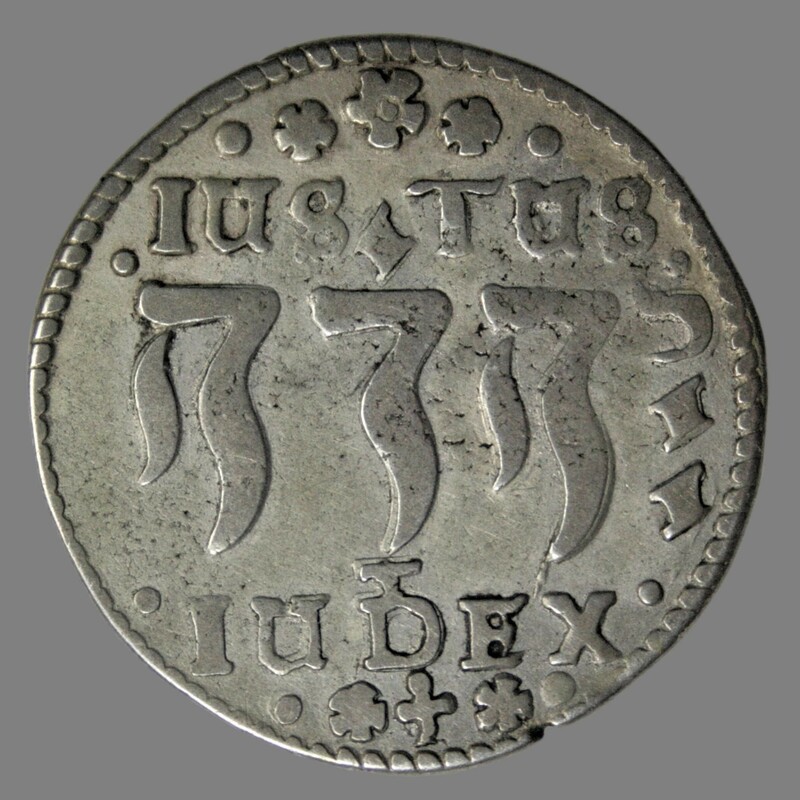 Weight: 5,08 g.
2 mark dated 1645, struck under King Christian IV. Grading: F/VF (owner’s mark). Reference: Thesen (2015) 114 type IA. 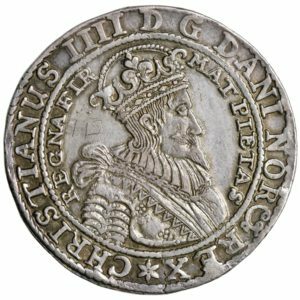 Weight: 10,59 g.
2 mark dated 1646, struck under King Christian IV. Grading: F/VF (owner’s mark rev.). Referanse: Thesen (2015) 115 type IA. 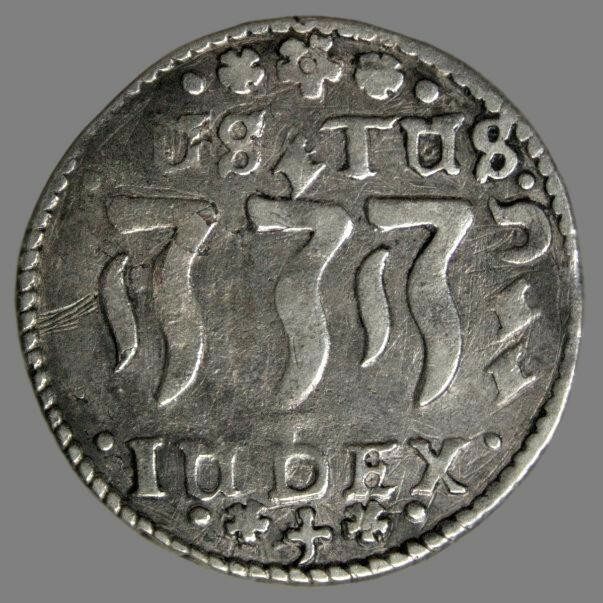 Vekt: 10,52 g.